The NAEC pro payout grew up to five figures this year and it is one of the biggest payouts in North America. A cool $12,000 will be given away to the top 5 pro women and the top 5 pro men. Equal payout for boys and girls, too. Registration is limited to 300 riders – be sure to register early! We expect this race to sell out quickly! 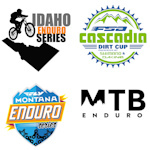 IMBA National Enduro Series points.